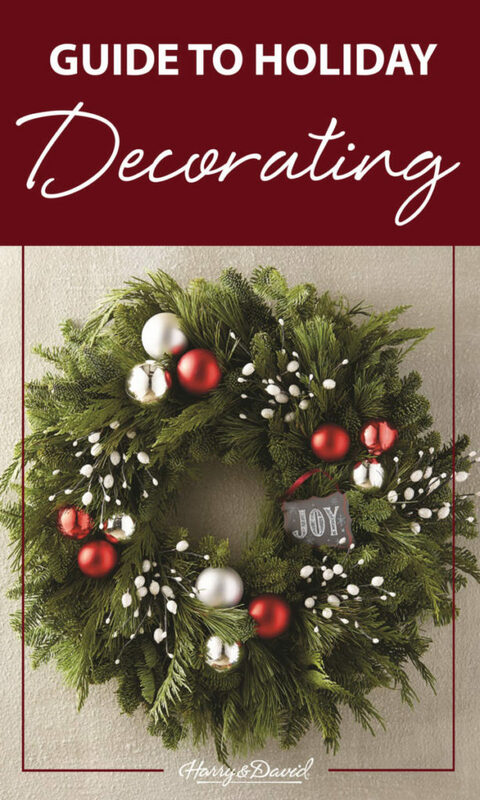 Are you curious how to set the scene for a happy, merry beautiful holiday season? Well, with the most wonderful, brilliant and festive decorations, of course. These Christmas decorations are perfect for your own parties and as hostess gifts, and we’re here to share our favorites with you. This planted Alberta Spruce will liven up any space with its lovely green needles, festive chalkboard, and glittering berry ornaments. The best part? 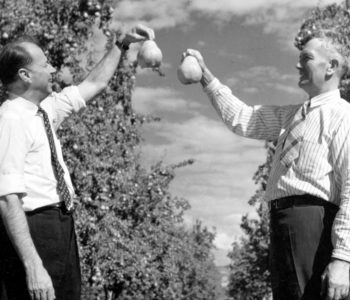 After the holidays you can plant this evergreen outside for year-round enjoyment. Handcrafted at a fourth-generation Oregon farm, this most charming of holiday decorations adds a brilliant touch to any table. 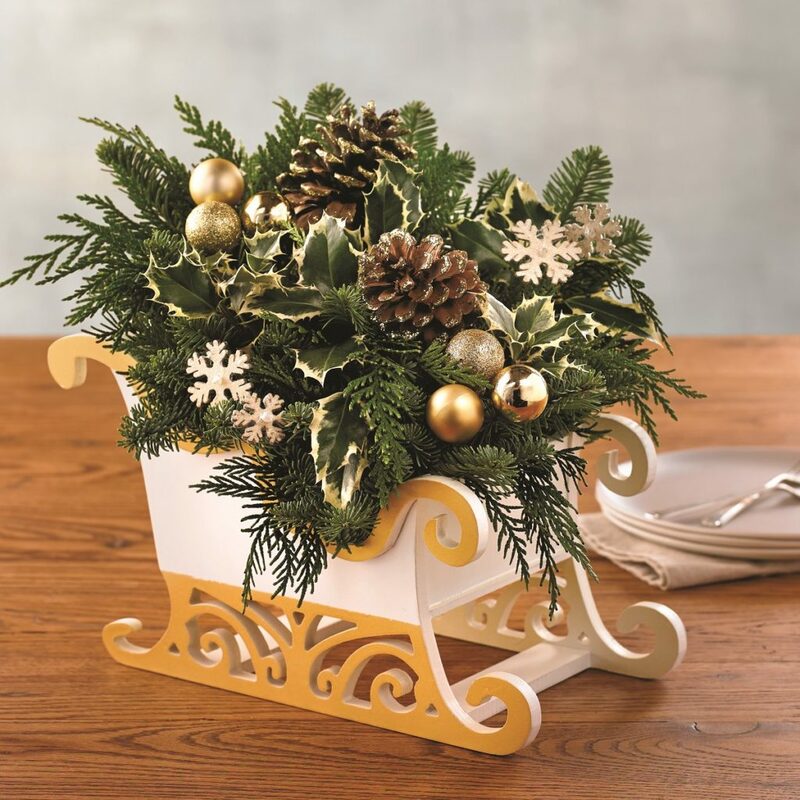 The fragrant sleigh centerpiece holds noble fir, Western red cedar, pine cones, ornaments and faux snowflakes. Rustic style-lovers need this gorgeous Christmas decoration in their home. 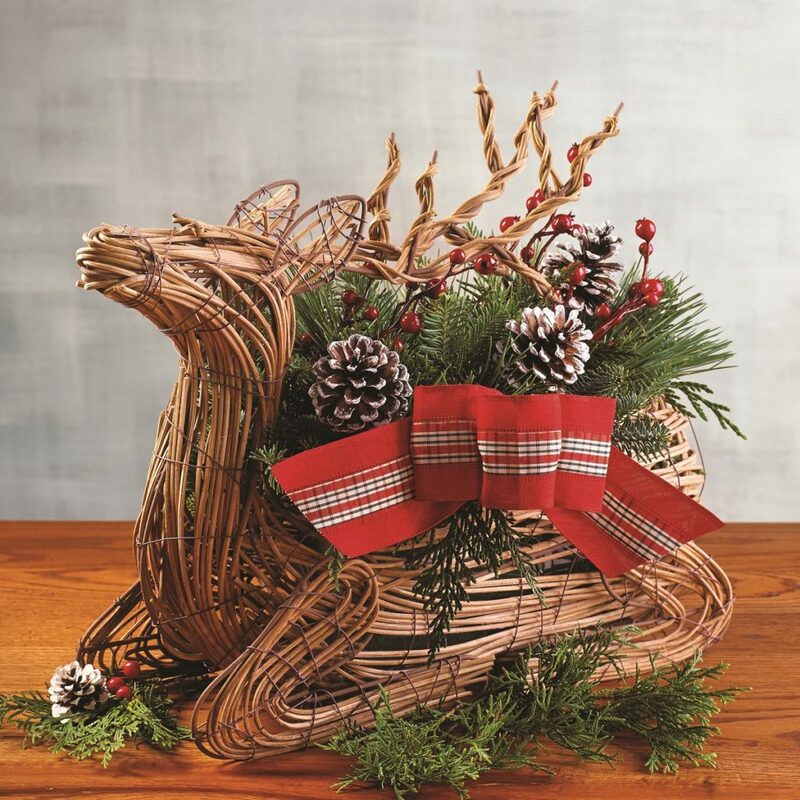 The twig deer-shaped planter naturally dresses up any table with a mix of noble fir, Western red cedar, pine cones, and faux red cranberries. 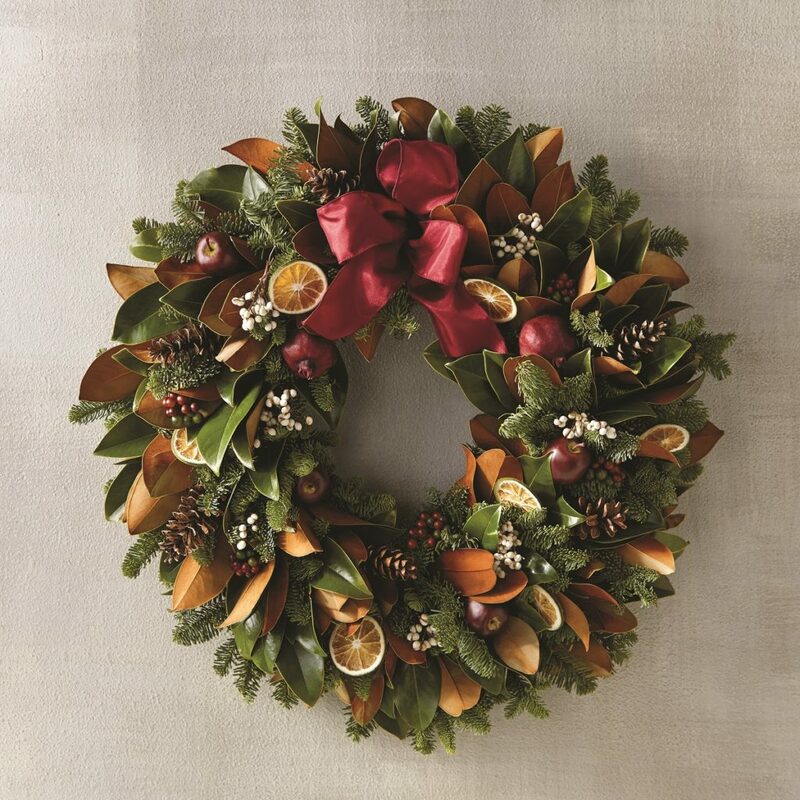 Visitors will feel more than welcome when greeted by this handcrafted Christmas wreath made of magnolia leaves, fir, pomegranates, faux apples, tallow berries, and green orange slices. 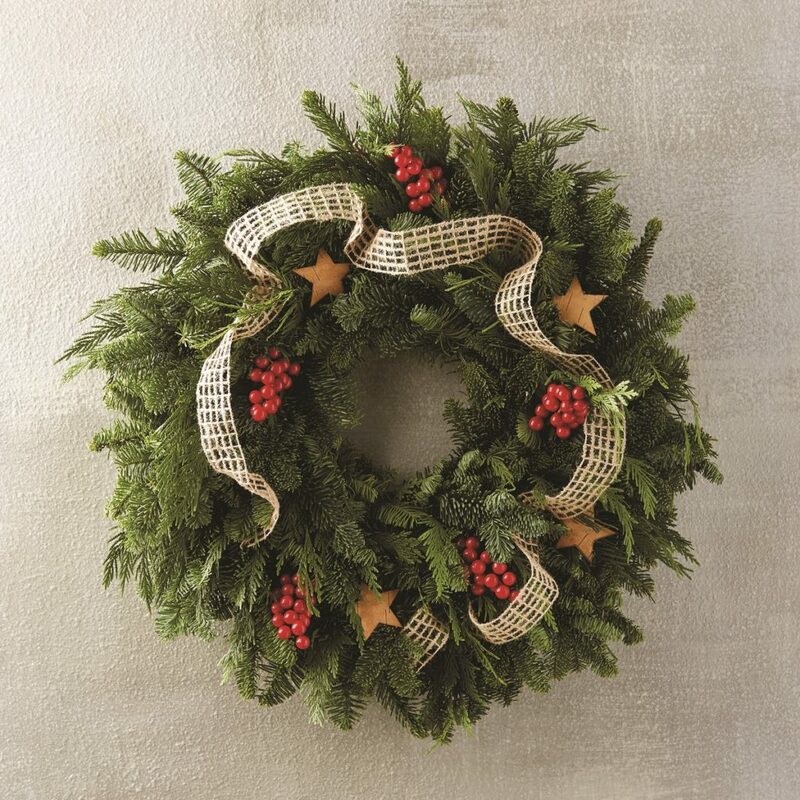 A unique beauty, this natural wreath featuring a burlap ribbon is handcrafted at family-owned Creekside Farms. This wreath is designed to dry naturally and last up to a year. 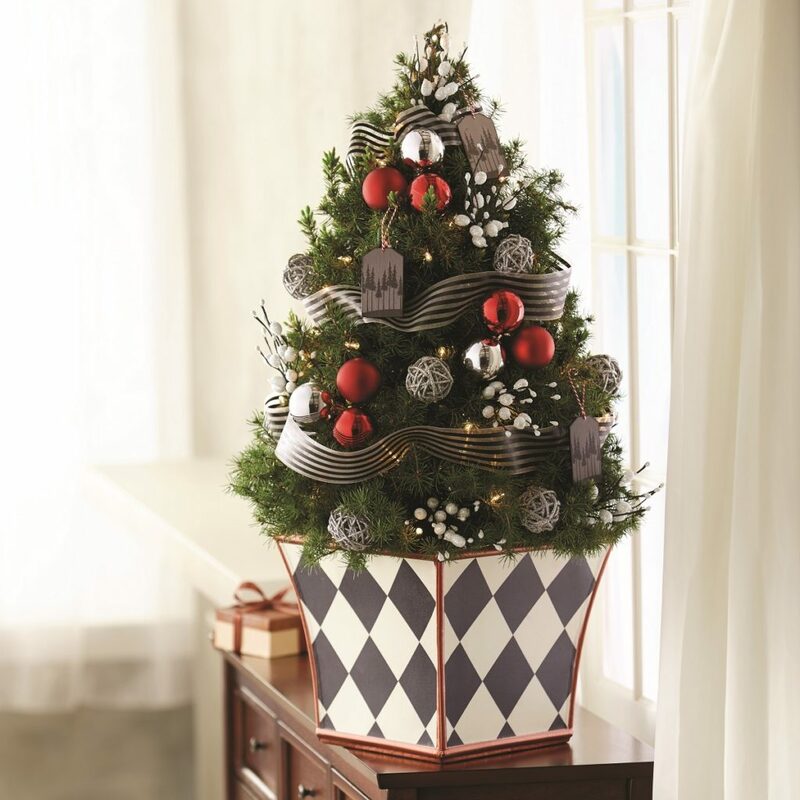 This decoration’s birch stars, faux berries, fragrant fir, and cedar branches are made to greet visitors in holiday style. 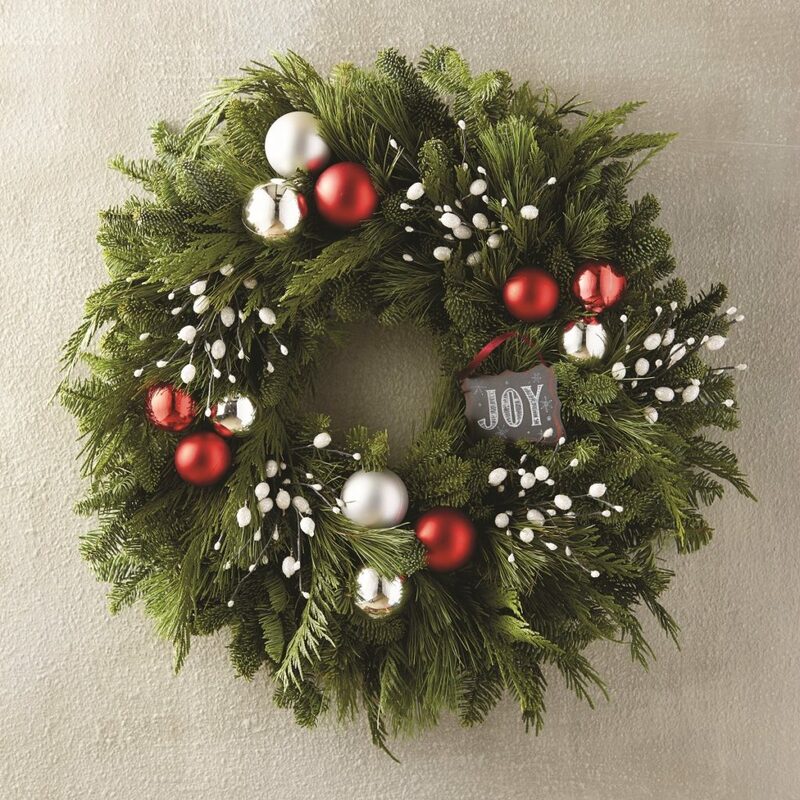 This classic wreath made from noble fir, Western red cedar, and pine is handmade at a California farm. This wreath is as festive as they come with its sparkling silver and red balls, glittery faux white berries, and tidings of joy on the chalkboard ornament. It’s not officially Christmas without a garland, right? This version is handcrafted of fragrant cedar and pine. 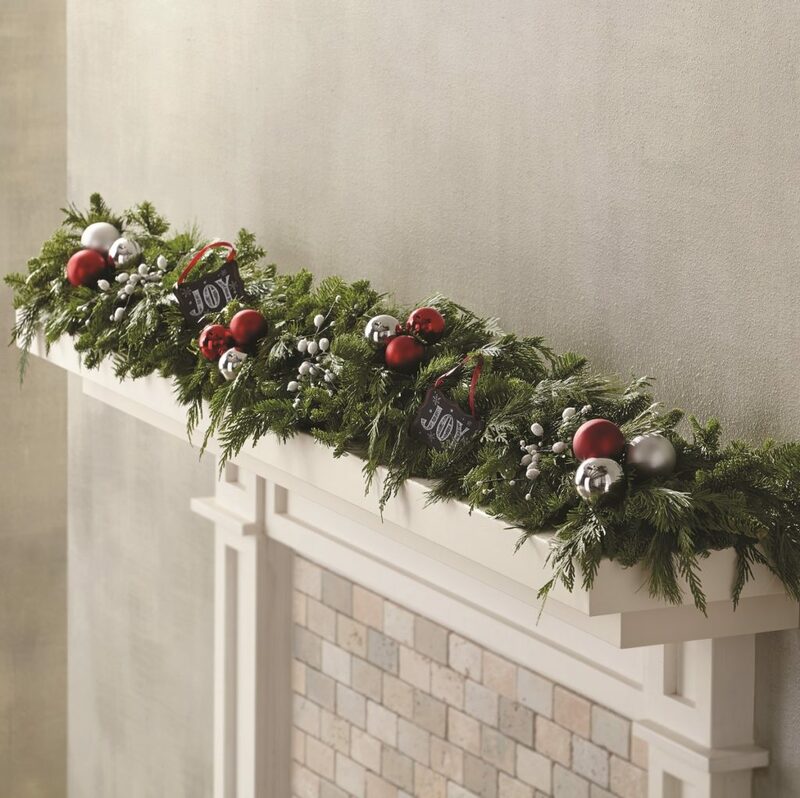 This quintessential holiday decoration glitters with a chalkboard message of joy and shiny red and silver ornaments. 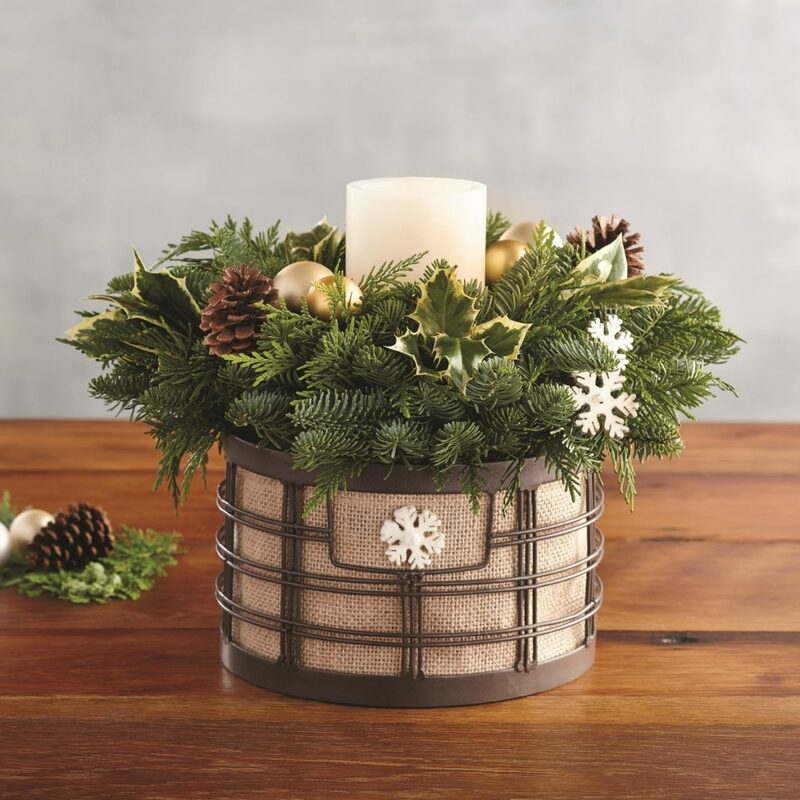 Light up your holiday party with this natural centerpiece, which comes in a rustic burlap and iron container. It’s handcrafted of noble fir, Western red cedar and holly, and adorned with pine cones and ornaments all surrounding the LED candle in the middle. Traditional meets festive. 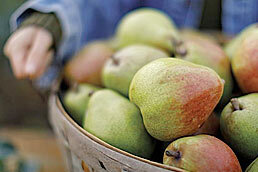 This centerpiece hails from a fourth-generation family farm in Oregon. 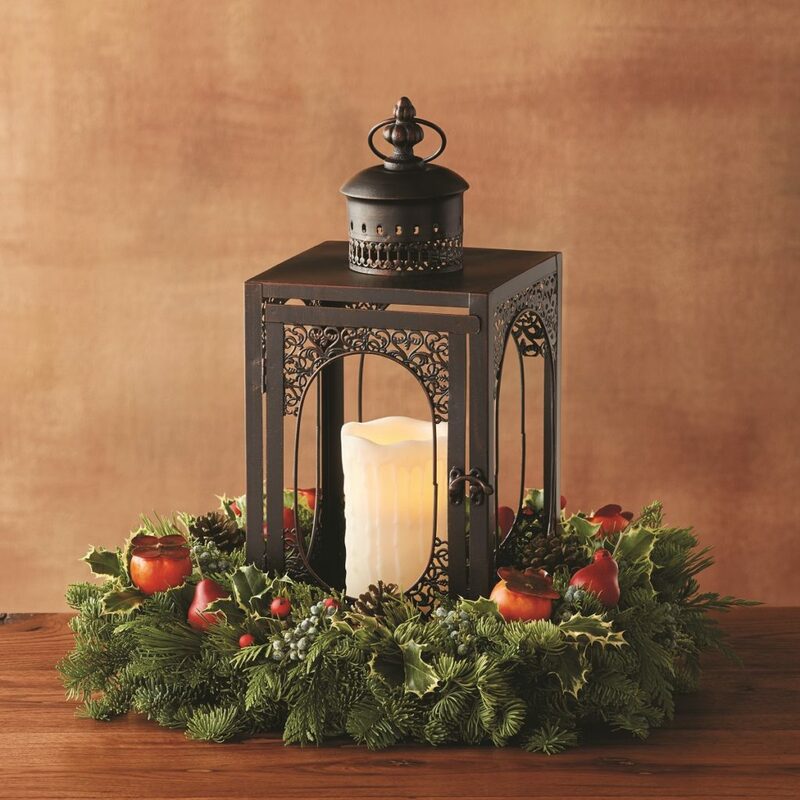 The wreath is made of vibrant greenery and sprinkled with faux pears and berries, which wraps around the ornate metal lantern with a flame-less candle. 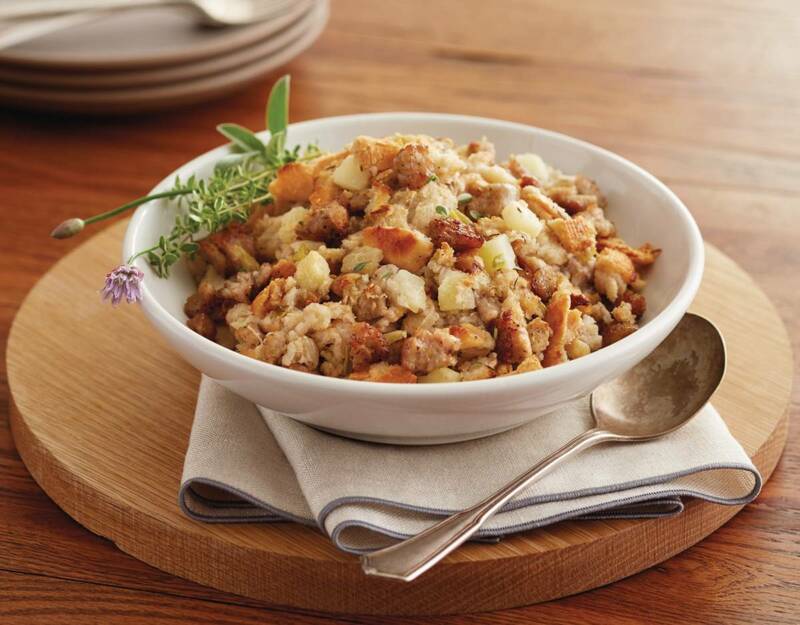 Fresh flowers add a breath of fresh air to any holiday table. 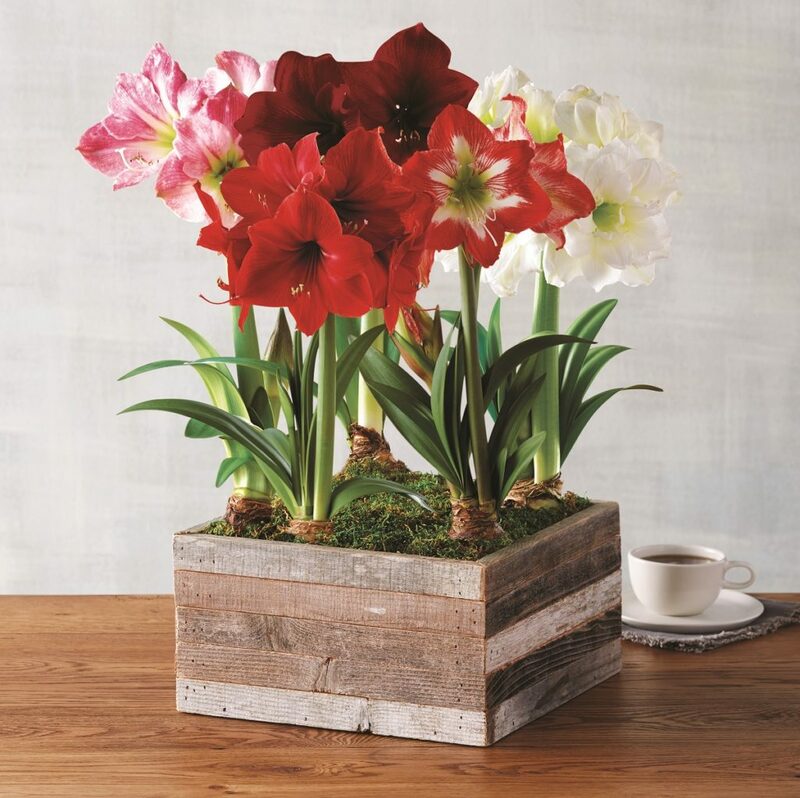 This colorful centerpiece stars five types of amaryllis bulbs, planted in a modern-rustic reclaimed wood container. Take care of the pretty petals and they’ll bloom again in spring. Time to smell the roses with this elegant hostess gift and centerpiece. 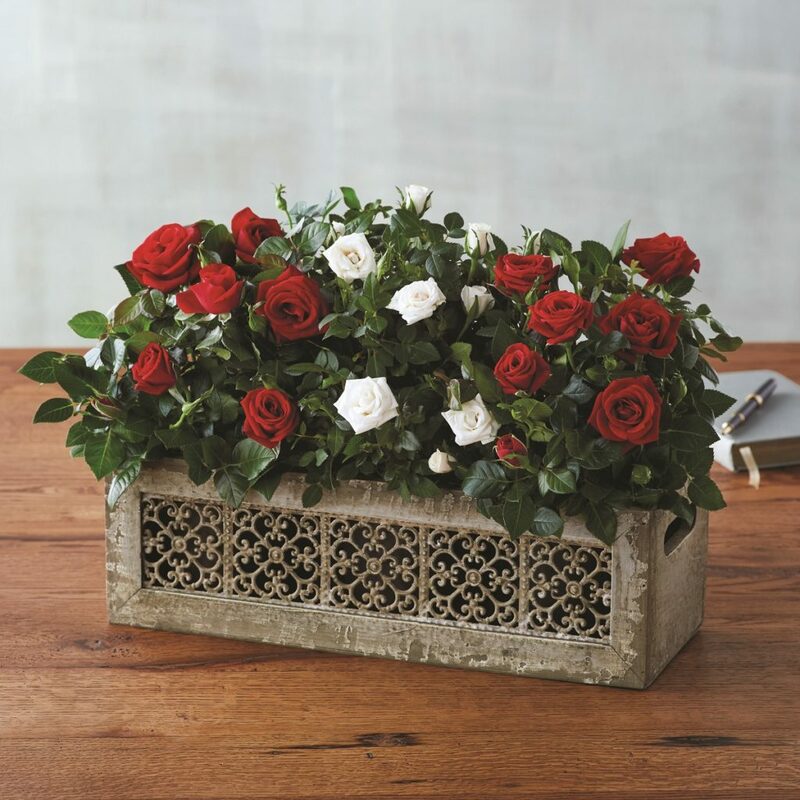 The gorgeous red and white petite rosebuds, planted in a decorative wood and metal planter, will perk up any windowsill or table. 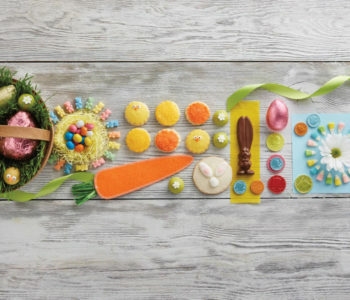 We’ve made it easy to find the decorations for all the stunning holiday fetes to come. Happy holidays!